…is that it’s not actually a secret. And sometimes I’m tired of everyone acting like it is. We’ve been with lots of family over the last few weeks and some of those family members have acted like Annie’s heart condition is a total faux paux subject. Some were brave enough to be the total opposite extreme, speaking boldly and warning us not to let other family members know because said family members wouldn’t be able to handle this tragic news. Just to clarify: We don’t think our situation is anything to be ashamed of. We aren’t embarrassed by our precious Annie or the procedures that lie ahead. We are willing to speak openly and honestly about what we’re going through. Sometimes that honesty may be awkward for the recipient because some days if asked, “How are you doing?” the answer is a sincere, “Okay today.” Other days, the answer isn’t so easy. Don’t get me wrong. We aren’t going to be out there boo-hooing to everyone we meet, but we are planning to intentionally use every part of our lives, including this pregnancy and parenting of Annie, to be transparent and share how God is working in the midst of it. So if you see us at church or at the store or at Taziki’s (because really, we’re always at Taziki’s), we’d rather you ask us how we’re doing instead of make eye contact, twinge your face, and slowly drop your gaze to my growing belly. Yep, she’s still in there and we’re still looking forward to meeting her soon. and also put music to my letter to Annie. She and my brother serenaded us with this tribute on Christmas Eve– a very sweet gift to honor our Annie. This is God’s story, and that makes it good. I cannot believe how God orchestrates details of relationships. After sharing on Facebook yesterday some details about Annie’s heart condition, an old friend contacted me. It was a couple who was in our community group for several months before getting unexpectedly transferred to a new job out of state. We heard they were expecting and something wasn’t right with their baby. We had all prayed and later heard good reports on Evie and now see cute pictures of her at 2 years old doing regular, everyday things. Guess what Evie’s “something isn’t right” is? Yep, HLHS! What a sweet, loving Father we serve who is giving us someone we already know who’s walked this exact road. Sarah was so kind to talk with me for an hour on the phone, while Evie and Andrew squealed in the background, and I tried to entertain Audrey. She shared so many details of Evie’s surgeries and was honest about the struggles and also encouraged me that it really was never quite as bad as she’d made it out to to be in her mind during the waiting period that we currently find ourselves in. I told you: God has His hands all over Annie’s life and this situation. 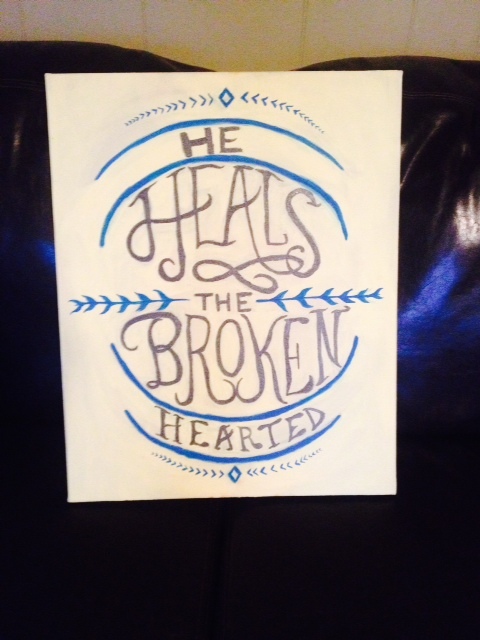 Even though I continue to plead with Him to heal her, He is so gracious to sustain us with all of these clear glimmers that SHOUT His hand in ours every single day. We’ve been meeting with specialists, one who suggested terminating the pregnancy of our precious girl. I explained through tears that that would never be an option for us, no matter the results of the multitude of tests he conducted. We knew from the first “something isn’t right” that we would carry Annie and enjoy her life as long as the Lord would let us. Life and death are in the authority of the Creator’s hands, and we trust His numbering of ours and Annie’s days. The specialist’s test confirmed a lot of good news: Annie’s heart defect is an isolated event. She has no chromosomal abnormalities or any other conditions that would indicate other problems. So it looks like surgery after she’s born could likely correct her heart problem. We rejoiced with this news! This means that she is expected to live to be born! Another meeting with another specialist confirmed that to be true, but the heart echo on Annie also revealed that the fix isn’t quite as easy as we might’ve thought. 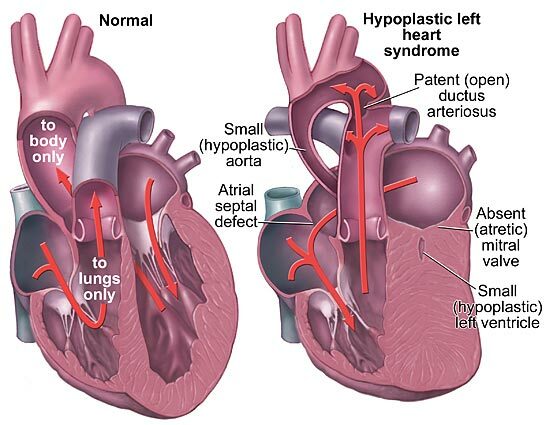 Annie has a congenital heart defect called Hypoplastic Left Heart Syndrome (HLHS). This defect is quite severe and will require (at least) three open heart surgeries before she turns three. We can expect the first surgery to be within the first week that she’s born. How absolutely terrifying to think of our fragile newborn laying on that operating table. And how absolutely comforting to know that God has given these surgeons wisdom and compassion and skill for EXACTLY this situation. And so we grieve the complexity of her condition. While we also rejoice in the ways that God has His hands ALL OVER our little Annie already. We are so thankful for the kindness of our OB who has shared his heart and his ethics about delivery and testing and treatment. “If you were my daughter, I would advise…” What provision from the Lord to have a knowledgeable Christian man as my caretaker through the pregnancy and an advocate for Annie’s life. We rejoice that God has provided a doctor for Annie in the same way. A pediatric cardiologist at Children’s who asked to take our case (a fellow believer in our community) and answer questions like a friend, speaking the truth in love about how to best plan for Annie’s procedures and also how to prepare for the grueling road ahead. We rejoice in God giving us Annie’s name, which means prayer, favor, and grace. We have seen God already using her life for His glory in the humbling number of people who are praying with us for His favor and grace in this situation. We’ve been able to share truth in answering hard questions of those who can’t understand why we’d continue a pregnancy knowing what will and may come in the days ahead. We do not want this to be our story. But as we muddle through this dark alley, feeling like the walls are caving in around us, God is giving us BEAUTIFUL glimmers of His light to cling to making each next step and each new day possible in His strength. This is God’s story and that makes it good. What a joy to find out we are getting another girl! Mommy is so happy and has dreams of all the secrets (and clothes and nail polish and shoes and bathroom counter space and sisterhood fun) you and Audrey will share. So much fun to come…we hope and pray! And Mommy knows how special your life is…no matter how long or short it may be. You, Annie, have a God-ordained purpose and Mommy is so happy to see this story unfold for God’s glory. I desperately want to meet you someday soon, on this side of heaven, and caress your sweet cheeks and snuggle you close while your heart heals. I pray that I can sing sweetly in your ear and comfort you while you recover from a successful surgery. But if I cannot, and the Lord takes you to heaven before I get there, I know that He will snuggle me close, sing sweetly, and comfort me while my heart heals. This is not a story that I want or would’ve chosen, but it’s God’s story and that makes it good.